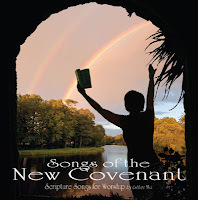 It is my joy and privilege to introduce Esther Mui’s second production of word-for-word (NKJV) Scripture songs, The Songs of the New Covenant. 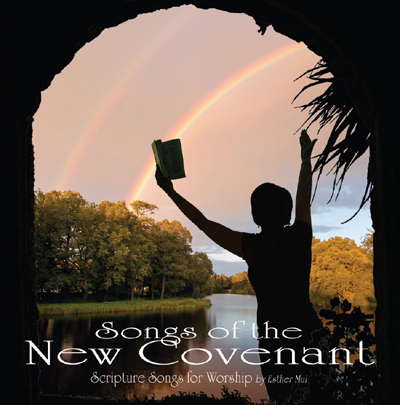 Like her first album, The Songs of Ascent, the Lord inspired Esther to produce this present album as a reflection of our house church’s journey with Him in learning about the New Covenant. Beginning from December 2009, as we waited upon Yahweh (Isa. 40:25-31), we entered into a remarkable season of the Holy Spirit giving us greater revelation and experience of the grace of God in the New Covenant, the grace that had done all for is in Christ! The Old Covenant is The Ten Commandments, the Law which God gave to Israel, written on tablets of stone (Deut 4:13, Deut 9:9,11). The New Covenant is really a renewal of the Old Covenant, because the same Law are given to the New Israel, which now includes the Gentiles, but written on the hearts and minds of those who have faith in Yeshua (Jer. 31:31-34). The Old Covenant demanded from the believer obedience to the Law as a condition (Exo. 19:5-6). 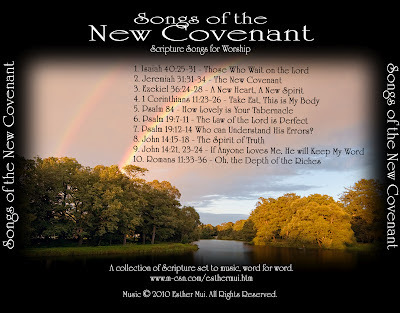 The New Covenant bestows to the believer obedience to the Law as a promise, thus causes us to walk in His Law (Ezek. 36:24-28)! The Old Covenant failed (Heb. 8:7) because of Israel’s disobedience. The New Covenant had already succeeded because of Yeshua’s perfect obedience unto shedding His blood for us (1 Cor. 11:23-26). But contrary to what many erroneously believe, the Law has not been abolished (Matt. 5:17-20), but rather established in those who have faith in Yeshua (Rom. 3:31). Obedience is not a condition for salvation, but rather the fruit of salvation. Keeping God’s commandments is a proof of our love for God and of His abiding in and with us (Jn. 14:15-18, 21-24). The Law is perfect, and therefore, we maintain a life of humility and repentance (Ps. 19:7-11, 12-14) not only because we fail to be perfect, but even the best of our own righteousness is still short of the perfection that is already ours through faith in Christ (Heb. 10:14)! 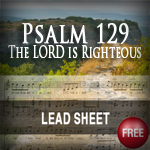 Yet, Scriptures are very clear: whoever is born of God practices righteousness (1Jn 2:29), but whoever sins is of the devil and whoever does not practice righteousness is not of God (1Jn 3:8, 10). Yeshua says, “If you love Me, keep My Commandments” (Jn. 14:15)! “Oh, the depth of the riches both of the wisdom and knowledge of God!...For of Him and through Him and to Him are all things, to whom be glory forever. Amen” (Rom. 11:33-36). 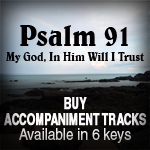 It is with much thanks to YHWH that I present to you my 2nd Scripture Songs album. This last year has been an enriching and precious journey for me, writing music to Scripture as YHWH began unfolding the truths hidden in His Word to us as a church with regards to the New Covenant. 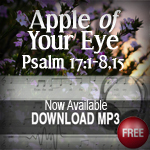 These revelations were made more precious as the Word was sung and embedded into our spirits. In the process of producing this album, YHWH has revealed to me not only my own weaknesses but also His mercy and faithfulness in keeping me. While Is.40:25-31, Ps.84 and Ps.19:12-14 hold a dear place in my heart, I pray you will be blessed by all 10 songs, I am honored to have my husband share this album with me. Track 10 is written and performed by him. Yes it is. We are planning to do a new recording of the song before sharing it here. Thanks for the inspiring words through the songs and the wonderful music. I also appreciate the exelent introduction given by pastor, Ps. S.M.Lee.